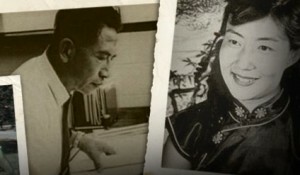 Shao Fang and her late husband, Sheng Pao, were invited to apprentice with Frank Lloyd Wright in the late 1940s. Later, in Williams Town, West Virginia, this Chinese couple designed and built a house entirely by themselves. As a woman, as a Chinese, and as an artist, Shao Fang, now in her eighties, has led a highly unusual life. This film is a personal documentary of this indomitable soul and her spiritual house. © 2019 Weimin Zhang All Rights Reserved.